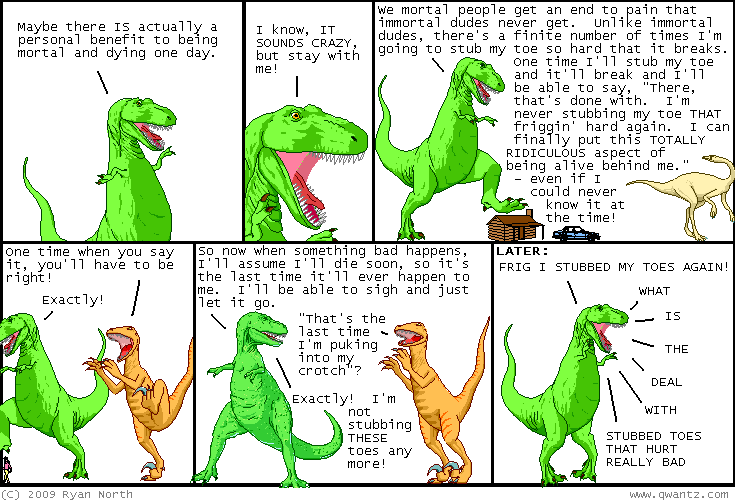 Dinosaur Comics - October 9th, 2009 - awesome fun times! October 9th, 2009: Have an awesome weekend, everyone! Do it for me, okay? One year ago today: lots of folks emailed me saying "what about widows and widowers? there's a relationship that didn't end in a breakup" and so, um, the deal is, i forgot about them? which makes me a horrible person? and i'm not really comfortable making jokes about it?